The state's decision to stop using CSCOPE is a victory for activists who say the lesson plans advanced an anti-American agenda. But small rural districts that relied on it say they'll now have to spend scarce funds on new materials. In late May, state Sen. Dan Patrick, the chairman of the Senate Education Committee, announced what he called the end of an era in Texas public schools. Beginning Aug. 31, the state’s curriculum support system, known as CSCOPE, will no longer be a source of lesson plans for the 875 school districts that rely on it. The system, developed by a coalition of 20 publicly financed education service centers, will revert to being a scheduling tool for educators. The move, part of an agreement with state lawmakers near the end of the most recent legislative session, was a victory for activists, including the conservative talk-radio host Glenn Beck, who have said that CSCOPE advances an anti-American agenda. But in the districts that use the lessons, primarily smaller ones, some officials said the decision would force them to spend already scarce funds developing unnecessary new materials. Over the last eight months, opposition to CSCOPE has inspired a cottage industry of grass-roots opposition that has propelled discussion from school board meetings to the highest levels of state government. It has been the focus of discussion at the State Board of Education and extensive legislative hearings, where parents have testified about the pro-Islamic, socialist and environmentalist indoctrination promoted in its lesson plans. The Hudson board will soon vote on whether to request a waiver from this year’s state accountability ratings because of the change, said Whiteker, who also leads an organization that represents the state’s smaller districts. Other districts may soon follow suit, she said. Ruben Cortez Jr., a Democratic member of the State Board of Education from Brownsville, said that districts in the Rio Grande Valley were also weighing waiver requests. The region’s education service center, where Cortez serves as a board member, recently discussed seeking an injunction against the state to allow districts there to continue using the lessons. “If they were paying close attention to the entire session on CSCOPE, they might have been wanting to prepare for an alternative, because it was clear that there were problems,” he said. Patrick suggested that schools looking to replace the lessons work with larger districts that have their own curriculum or turn to private vendors. One potential vendor, Pearson Education, has approached districts offering curriculum resources, in a letter sent to schools on May 13. 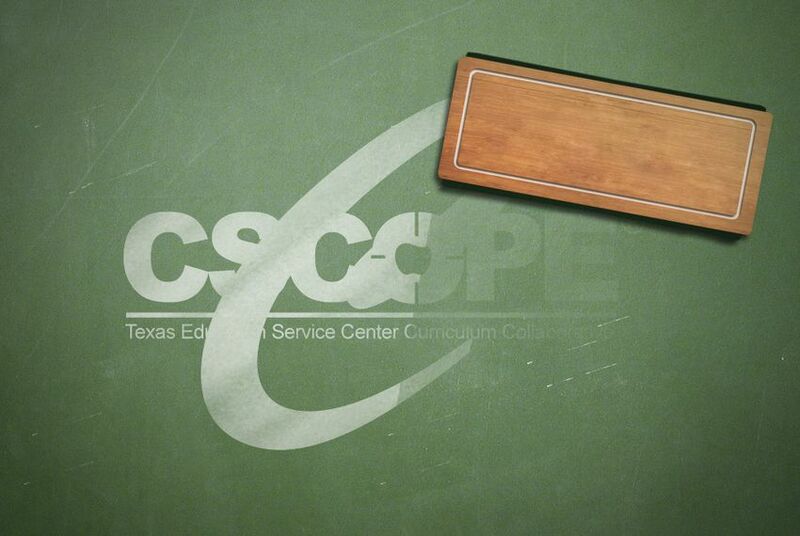 Whiteker said CSCOPE simply provided a framework for teaching state-mandated curriculum — and that critics had taken a few lessons out of context. “When the state board tells you that you are supposed to teach the major religions and the beliefs of those religions, it’s then turned on you that you are promoting the Islamic religion because you taught students what the Islamic religion is,” she said.